In an industry as competitive as oil and gas, building a professional site that showcases your company, services, and products is only half the battle. Once that is done, you’re going to want to make it easy for your target audience to find your company and be aware of your offerings as early in the purchase journey as possible. SEO, or Search Engine Optimization, can help oil and gas companies increase their visibility through search engines, such as Google, and ultimately become more profitable by doing so. When trying to optimize your page, there are a number of on-site and off-site factors that determine where your website appears in Search Engine Results Pages. This includes the quality of the content you are producing, the abundance and quality of links pointing to your site, the structure of your website, and more. SEO is not only about building a website that is search engine friendly but also one that allows easy movement for customers to find information and make a well educated purchase. SEO is a critical component of staying competitive in today’s market, and for oil and gas companies that see new competition cropping up everywhere, it is absolutely essential. Let’s explore SEO’s role in expanding your business in this sector. What Makes SEO for Oil & Gas Companies So Profitable? 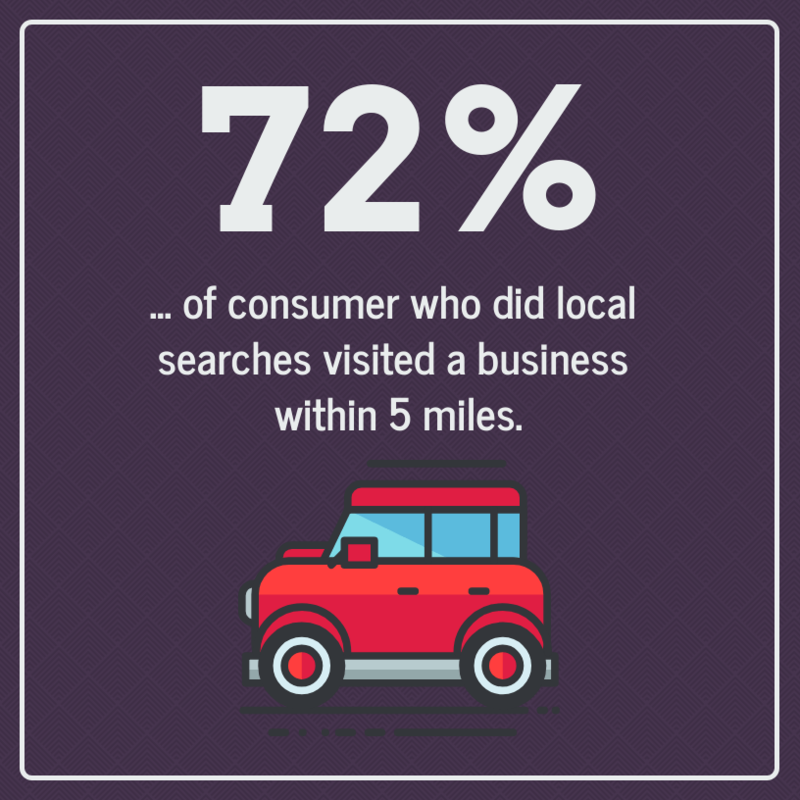 When today’s consumer wants to make a purchase, often the first step they take is to conduct research on the web through a search engine, such as Google. The reality is, 75% of all web searches do not go past the first page of results. This makes ranking on the first page People who search for oil and gas profitable and highly competitive. Optimum7 has more than 12 years of experience in digital marketing. We specialize in SEO and developing industry-specific marketing strategies that generate leads and improve brand visibility through online channels. What Is SEO And Why Does My Oil And Gas Brand Need It? Search Engine Optimization, or SEO, is an internet marketing strategy that involves creating quality material to increase the amount traffic a website receives through organic search engine results. The goal of this strategy is to attract visitors who genuinely are interested in your services or products and are already searching for them, generating a steady flow of qualified leads. While some businesses choose to pay Google to run ads, which isn’t a bad strategy if you’re seeking quick results, SEO has been proven to offer better Return On Investment (ROI) than digital advertising. How Do I Outrank My Rival Oil And Gas Company In Google Results? Understanding Google’s search algorithm, and how to make optimize your site for search engines can help answer this question. It relies on multiple factors, including on-site content, off-site referrals, as well as complex technical elements that require thorough knowledge and years of experience to execute properly. Creating an SEO strategy for an industry like the oil and gas sector can be very labor intensive. Between research into what industry-specific terms your audience is searching for, consistent content creation, competitor analysis, and the other many factors and tasks, executing an effective SEO strategy is a full-time job. SEO requires more than knowing how to access Google, it requires extensive knowledge about the key features search engines are looking for in a site. To add on, these marketers have to be highly skilled in using the various tools needed to implement and track organic results. As part of the ever-changing industry of oil and gas, most companies do not have the time to train and help their employees perform the proper tasks of search engine optimization. You want your employees to focus on projects on how oil & gas is constantly changing not ones related to organic search engine results. Outsourcing your SEO efforts will provide you with an outsiders perspective on how your industry is doing in the market, save you time and money on learning a new system, you can have the confidence it is being done properly, and it can open your company to new opportunities online you did not know about. 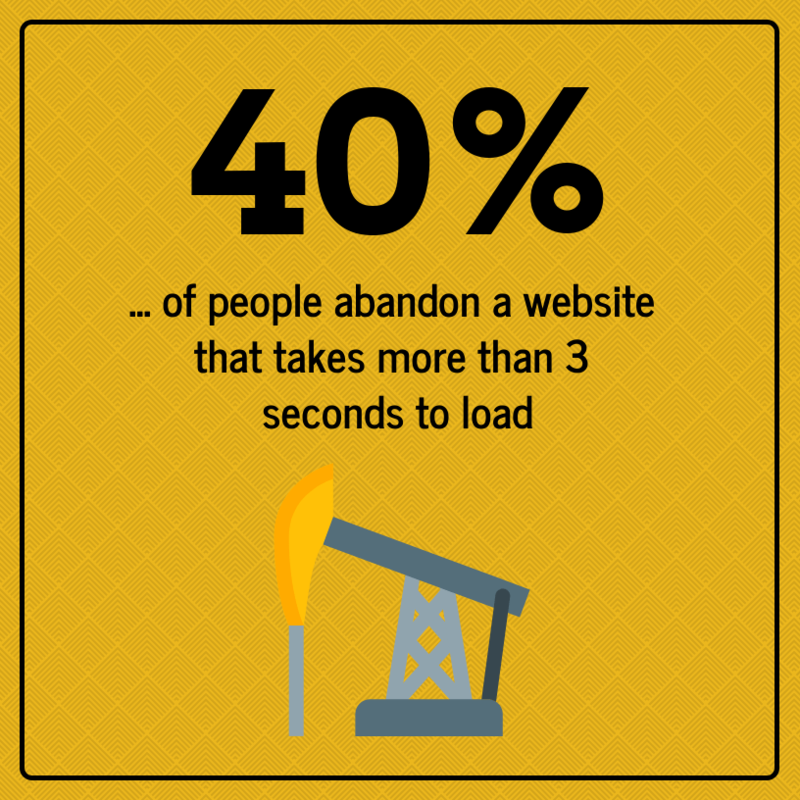 If you accomplish making your oil and gas company’s website load time as quick as possible, your overall engagement will increase. Depending on your level of expertise, you may or may not know what’s holding you up. However, some websites can lose up to half of their business with slow load times. A combination of marketing expertise and software knowledge can identify useless, cumbersome code in the back end of your website. You can deliver the same results with simpler code, or remove extraneous elements that are bogging down the website without bringing you any benefits with them. Aside from the back end of the code, the site needs to be logical to navigate. This will prevent your potential clients from getting frustrated and leaving. Dead websites plummet in the rankings. When you abandon your website, it will probably drop in the ranks. When you create a blog, you have a way to add new information and relevant material for your audience at all times. It’s an opportunity to highlight the products and services you offer by simply answering a common question. It also creates a place where people can link back to your website. These backlinks are a critical component of effective SEO. It shows that someone else found your website valuable enough to link to it as a source. This is an incredible way to demonstrate your authority in the oil and gas sector. Optimize your URLs for your oil and gas company’s website by paying attention to everything after the forward slash. When you’re creating your website, you get auto-generated URLs that might look like ‘/gh767h’ for example. It would be better if you had a logical, clearly labeled taxonomy in which the pages were titled ‘/pipes’ or ‘/oil’ or ‘/gas’ as the case may be. Tracking your progress over the course of your journey will give you a clear path, and let you know what success looks like before you start. These measurements let you assess the performance of your different pages on your website. Increase Visibility. Grow Your Business. Contact Us. Optimum7 has the tools and experience creating SEO strategies for oil and gas companies to generate qualified leads and make your online business thrive.